This monograph carries out an in-depth investigation into compositional processes, shedding new light on the components and conditions that constitute artistic agency. Artistic agency relies on the interlocking of such activities that emerge from various propositional and non-propositional (experiential, corporeal, sensory) forms of knowledge - listening, feeling, imagining, trying out, reflecting, noting and correcting, which represents a small selection of the multifaceted composing activities. 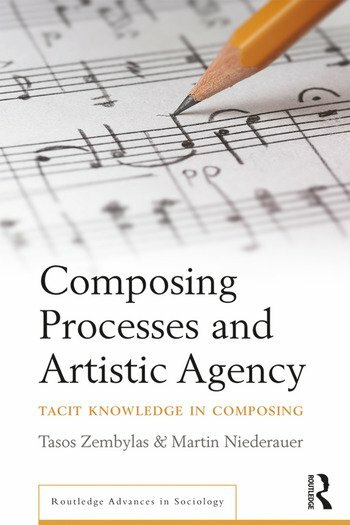 The book develops an understanding of artistic agency and mastery in its fundamentally social nature, through the important, though largely ignored output of creative compositional processes. Using a mixture of case studies and theoretical frameworks, this book will appeal to sociologists, musicologists, creative studies scholars, and artists, particularly those who teach composition or research on this topic, as well as students of MA- and PhD-level. Tasos Zembylas is a Professor of Cultural Institution Studies at the Department of Music Sociology at the University of Music and Performing Arts Vienna, Austria. Martin Niederauer (Dr. phil.) studied sociology in Trier and Frankfurt am Main. He currently works at the Faculty of Design at the University of Applied Sciences Würzburg-Schweinfurt, Germany.